15th WARD: Democratic Committeeman Raymond Lopez is a rising star in Democratic Party politics. This year Ray was elected the 15th Ward Regular Democratic Committeeman representing Back of the Yards, Brighton Park, Gage Park and West Englewood communities. COMMITTEEMAN LOPEZ said he was honored to be part of the 83rd Annual Bud Billiken Day Parade on Saturday, August 11th. His presence marked the first time the 15th Ward participated in the Bud Billiken parade in recent years. Lopez said, “These events allow the City of Chicago to see the positive side of the 15th Ward, its neighborhoods and its families.” Lopez will be marching in the Mexican Independence Day parade in Little Village on Sunday, Sept. 9, 2012. RAYMOND LOPEZ is a lifelong resident of Chicago’s Southwest side neighborhoods. He was born and raised in the Vittum Park and Sleepy Hollow/Archer Heights neighborhoods. Before moving to the Chicago Lawn neighborhood in 2007, he lived in the Garfield Ridge neighborhood. LOPEZ is a graduate of St. Camillus Catholic Elementary school and a graduate of St. Laurence High School. Upon graduating he attended the University of Illinois-Chicago, majoring in Teaching of English Literature and Political Science. IN HIS YOUTH Lopez worked for C. P. Hall, a chemical company located in Chicago. After leaving UIC, he worked in the Mayor’s Office of Special Events for nearly three years. The past ten years he has worked for Southwest Airlines. ANSWERING THE CALL of civic duty Lopez began as a precinct captain at the age of 18, at 20 he lead marches against rampant prostitution along Cicero Avenue. By the age of 21 Lopez was elected to serve as a Community Representative on the Kennedy High School Local School Council. IN 2011, Ray, 33, ran for Alderman of the 15th Ward challenging an incumbent into a run-off. He was the first Mexican- American to make it to a run-off in an African-American ward. In 2012, Lopez became the first Mexican-American elected Democratic Committeeman of the 15th Ward. PASSPORT DAY: U.S Postal Service announced the Passport Fair will be held at the Little Village Community Council, 3610 W. 26th St., Chicago, IL 60623 on Saturday, Sept. 15, 2012 from 10:00 a.m. to 1:00 p.m. The LV Community Council doors will open at 9:00 a.m.
U.S. CITIZEN adult and children traveling to Mexico, or internationally, must have a U.S. Passport. To apply for a passport you must bring two forms of identification. A certified birth certificate [includes official seal], current drivers’ licenses or State ID or Naturalization certificate [if naturalized citizen]. PASSPORT book fee for an adults, $110.00 and children, $80.00. 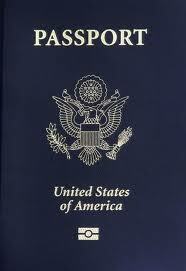 Passport card [wallet size] fee, adults $30.00, children $15, payable to Department of State. Execution fee $25, payable to Postmaster. Passport photos will be available on-site: $15.00 per photo. PLEASE NOTE: Money orders or checks will be accepted, but need to made out to either Postmaster or to Department of State. AN ART FESTIVAL was held in Little Village Saturday and Sunday, August 18th and 19th at the Manuel Perez Jr. Memorial Plaza, 26th St. & Kolin Ave. One of the sponsoring organizations of the event was the Manuel Perez Jr. American Legion Post 1017. LIVE MUSIC, dancers and singers entertained the many visitors at the Art Festival. The event had many colorful booths selling scarfs, jewelry, purses, hats, original art work and many Mexican cultural items. FESTIVAL ARTISTS were members of the Casa De La Cultura Carlos Cortez Mestizarte Pilsen studio, 1440 W. 18th Street. They were Adriana Perez, Mario Gonzalez, Faustino Guadarrama, William Wemmer, Ester Leon Padia, Jorge Reyes, Victor Alegria, Ricky Sanchez, Cristina Colunga, Nachieli Macias and Jose L. Pina Morales. MESTIZARTE was founded in 1989 by a group of dedicated artists working in the visual and graphic arts. Casa de la Cultura Mestizarte was founded with the support of its members in honor of esteemed artist, Carlos Cortez [1923-2005], an icon and activist in the Mexican art community. THE CURRENT director is Jose L. Pina Morales. Jose is a graduate from the National School of Painting and Sculpture, known as “La Esmeralds” affiliated with the Instituto Nacional de Bellas Artes in Mexico City, Mexico. Mestizarte offers high quality art, with a frame of your choice, in addition to classes in art, drawing and much more. For more information contact Jose Luis Pina Morales at 773/677-1769. GUITARIST Jesus “Chuy” Negrete was the featured entertainer at the Art Festival. Chuy is well-known in the Mexican barrios [communities] of Chicago. He plays a large variety of Mexican “corridos”, labor songs, and historical ballets of old Mexico. Chuy injects Mexican humor into his songs. He’s been entertaining the Mexican barrios for the past 40 years and is one of a kind. Chuy is available to play at any of your events, contact him at 773/764-6110. 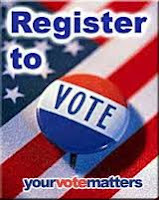 THE deadline to register to vote is Tuesday, Oct. 9, 2012. It is also the deadline to update your registration in order to vote in the upcoming Tuesday, Nov. 6, 2012 Presidential General Election. SATURDAY, AUGUST 25—Women’s Boxing Challenge sponsored by Chicago Youth Boxing Club, 2300 S. Millard Ave. Tickets $10, free to ages 12 and under. To register contact Mike Quiroz at 773/987-4303 or call 773/521-9555. AUGUST 24-26—Ald. Roberto Maldonado invites you to the Taste of Latin America. On Armitage from Central Park Ave. to Avers Street. Friday 5 p.m. to 9 p.m. Saturday & Sunday. 11 a.m. to 9 p.m. Featuring authentic cuisine from countries across Latin America. Food, wine & art festival. Admission is free. For more info call 26th Ward Office: 773/395-0143. SUNDAY, SEPT. 9—“El Grito” 5K Run will start at Piotrowski Park, 31st St. & Keeler Ave. in Little Village. Register online www.beyondtheball.org Event time: 7 a.m. Check-in; 8 a.m. Start of 5K Walk/Run; 9:30 a.m. Awards Ceremony. Registration fee: Adult [18+] $30, youth [6-17] $15. Questions call Nilda Esparza at 773/521-5387 or 773/521-5387. SUNDAY, SEPT. 9—26th Street Mexican Independence Day parade. Kickoff: 12 Noon. Parade route 26th St. & Kedzie Ave. west to Kostner Ave. Hosting the parade is the LV Chamber of Commerce. Call: 773/521-5387. WEDNESDAY, SEPT. 12—5th Annual “Go to Bat for Anita” a Cook County State’s Attorney Anita Alvarez fundraiser. U.S. Cellular Field on the Fan Deck at 7:10 p.m. Chicago White Sox vs. Detroit Tigers. Donation $200. For more info call Dana at 312/ 977-4543. SUNDAY, SEPT. 30—The South Chicago “Old Friends Reunion” from 12 Noon to 5 p.m. at Lansing Knights of Columbus, 178th & Lorenz, Lansing, IL. Dinner, music, cash bar. Donation: $25 per person. Send reservation check to: Lupe Martinez, 920 Jackson Place, Dyer, IN 46311. Paid reservation deadline: September 10, 2012.